See the city as the sun goes down and the lights come up! 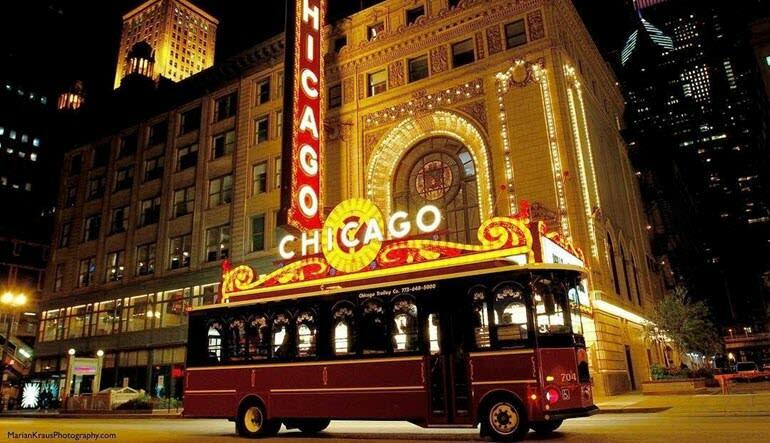 Discover iconic landmarks like the Chicago Theatre sign as it is lit up at night. Highlights of this tour include Skydeck Chicago, the Navy Pier, Millennium Park, 360 Chicago at the John Hancock Center and a slew of Chi-town goodies to munch on or bring back with you. 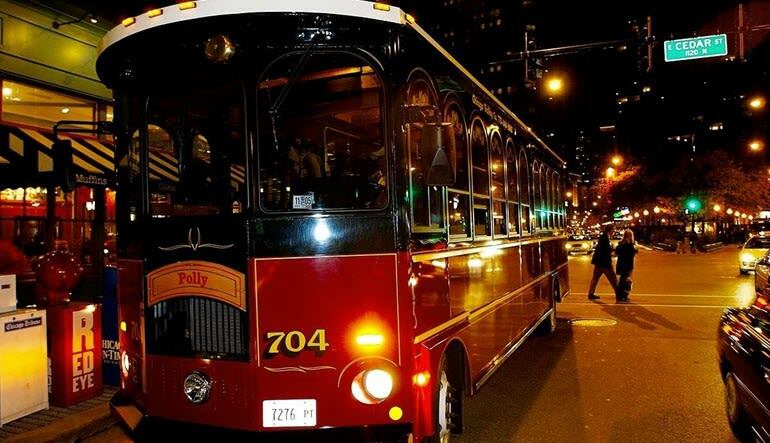 Take a night tour spanning 13 stops. Drop into the famous Hilton Chicago or Sheraton Hotel. Take a ride on the new and improved wheel at the Navy Pier. Head up to the 94th floor of the John Hancock Center for 360-degree city views! Grab a gourmet bite or do some boutique shopping at the Magnificent Mile. Snap some shots of the Old Chicago Watertower. 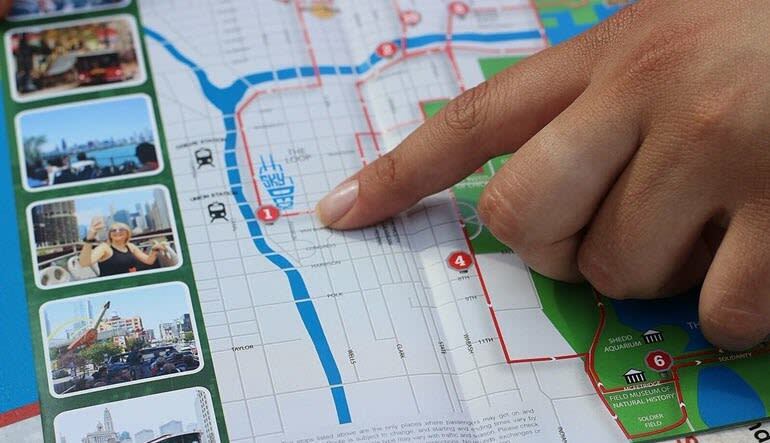 While this experience lets you choose your own path, the trolley and bus operators are beyond helpful and will gladly point you in the right direction. Or maybe getting a little lost is part of your plan. You can do that too!